‘Danish Modern’ is a recognized term around the world standing for the characteristic style of Danish design created during the 20th century. But what is the story behind it? In the following text Professor Per H. Hansen elaborates on how it all started, evolved and became a well-known International brand. It does not happen very often that a completely new style of furniture and interior decorating emerges. However, that is what happened internationally in the interwar period. The style of the German Bauhaus School and international modernism is well known, but in Denmark the new style of furniture design took a different path and came to be recognized as “Danish Modern”. The word “modern”, of course, refers to two things. In everyday use modern is used to say that something is up to date or relevant in the present. Historically, however, modern(ism) was more of an ideology that rose together with the rise of industrialization, urbanization and a strong belief in science and progress from around 1900. In Denmark modernism took a different route than in most other countries. The traditional craft of cabinetmaking came to play a very important role in Danish Modern, and in a way that happened more by chance than by design. 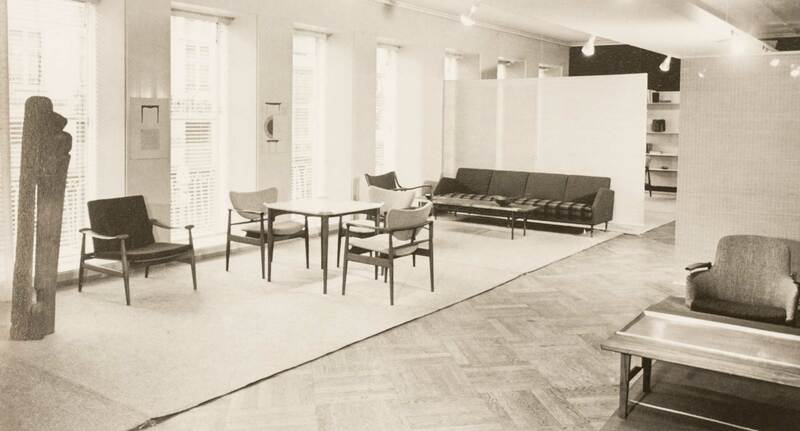 In 1927 a group of cabinetmakers established the Copenhagen Cabinetmakers’ Guild Exhibitions. The traditional craft was under pressure from mass-produced and imported furniture, and the exhibitions were initiated in order to increase the public’s interest for the cabinetmakers’ furniture. Modern Danish furniture came about through the cooperation between the craftsmen of the Cabinetmakers’ Guild Exhibitions and a group of young architects trained at the Furniture School at the Royal Academy of Arts under the direction of Kaare Klint. 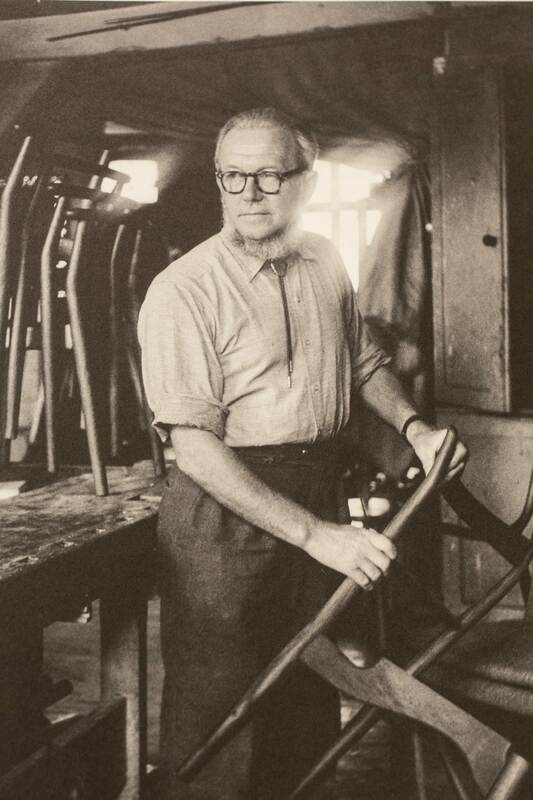 Klint trained his students in the principles of “scientific” furniture design, and many consider him the “father” of modern Danish furniture design. 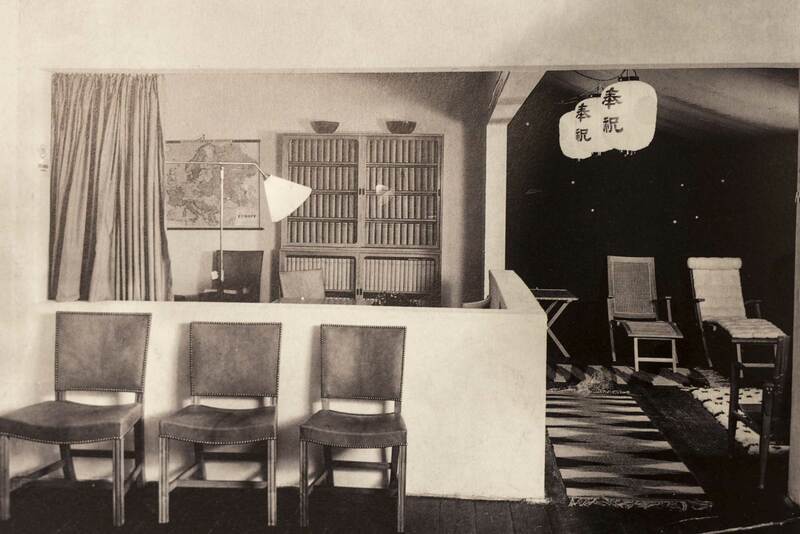 While furniture designed by Klint’ was exhibited at the cabinetmakers’ exhibition as early as 1928, his lifelong cooperation with the firm Rud. Rasmussen from 1930 to Klint’s death in 1954 stands out. Klint only designed relatively few pieces of furniture, but they are all characterized by clarity in design and extremely high quality in craftsmanship and choice of materials. If there is a single common denominator for Danish Modern, it is not so much the design or form as the quality of the execution, the woodwork and the upholstery. The fact that so much of the original furniture has survived to the present day bears testimony to the fact that Danish Modern was second to none in craftsmanship. This tradition of high quality continued even into the era of factory made modern Danish furniture in the 1950s by producers such as France & Son, Fredericia Furniture, Bovirke, Carl Hansen, Andreas Tuck, Søborg Furniture and others. Kaare Klint and Rud. Rasmussen was only the first pairing of furniture architect and cabinetmaker, and many others were soon to follow. Among the best-known teams of cooperation were architect Hans Wegner and cabinetmaker Johannes Hansen, Finn Juhl and Niels Vodder, and Børge Mogensen and Erhard Rasmussen. 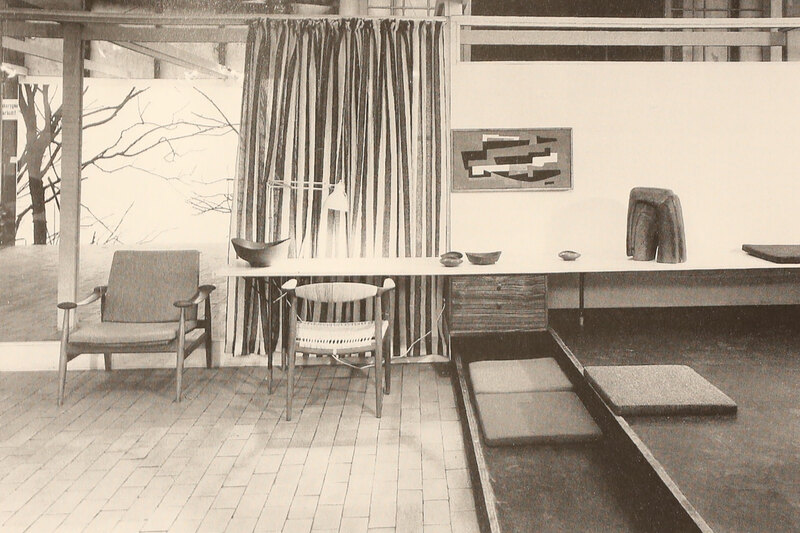 Wegner, Juhl and Mogensen all exhibited at the Cabinetmakers’ Guild Exhibitions for the first time in the late 1930s and over the next 20 years or so they came to dominate the scene of Danish Modern at home and abroad. There were many others, however. Mogens Koch and Rud. Rasmussen, Ole Wanscher and A.J. Iversen, Tove/Edvard Kindt-Larsen and Thorald Madsen, Helge Vestergaard Jensen and Peder Pedersen, and Bender Madsen/Ejnar Larsen and Willy Beck. And then, of course, one should not forget outstanding cabinetmakers such as Jacob Kjær and the somewhat eccentric Peder Moos, who both designed and executed their furniture to the highest levels of craftsmanship. Even outside of the field of cabinetmaking, the high quality of execution is a mark of Danish Modern. Arne Jacobsen and Poul Kjærholm, for instance, both became part of a more international modernist movement, and cooperated with other producers than cabinetmakers. Arne Jacobsen established a life long cooperation with Fritz Hansen, an early modernist mover in Danish industry, while Kjærholm and E. Kold Christensen worked together for 25 years before Fritz Hansen took over the production of Kjærholm’s furniture. Kjærholm’s and Jacobsen’s steel-based furniture lived up to the same high standards in execution and upholstery as the cabinetmakers’ furniture. Thus, what shaped and constituted Danish Modern was the joint response of architects and cabinetmakers to new demands from a society in development. This demand only took off for real in the 1950s – the golden age of Danish Modern. Danish Modern developed into a brand that was consciously marketed by organizations such as the Danish Society of Arts and Crafts, and department stores such as Den Permanente and Illums Bolighus, both of which were frequented every year by thousands of tourists on the outlook for the fashionable Danish Modern. The above text is written by Per H. Hansen exclusively for Galleri Feldt and may not be reproduced in any way. Per H. Hansen is professor of business history at Copenhagen Business School. He has published widely on Danish Modern including several guides to modern Danish furniture. His book Finn Juhl and His House was published in English in 2014 by Hatje Caantz. His book in Danish from 2006 on the history of Danish Modern will be published in English in 2016: Danish Modern: The Golden Age of Danish Furniture Design by the University Press of Southern Denmark.